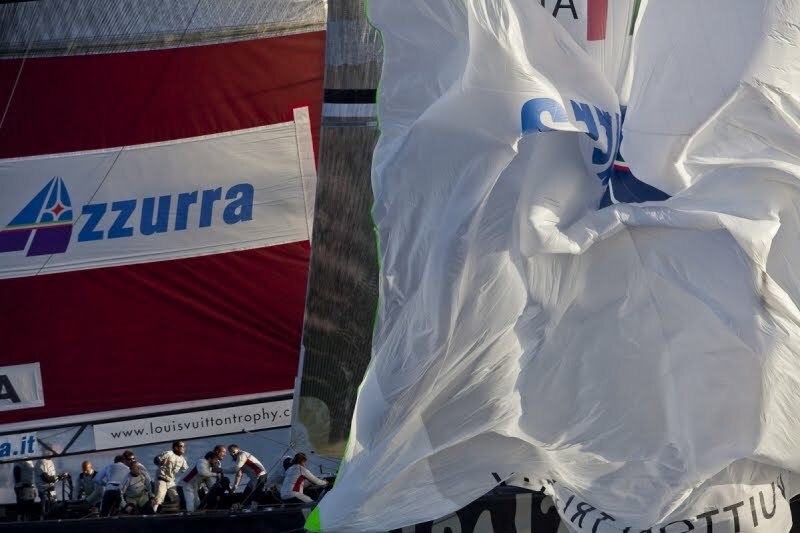 Azzurra scores 2-0 shut out of Emirates Team New Zealand to win Louis Vuitton Trophy. The team from the Yacht Club Costa Smeralda makes a triumphant return after a 22-year hiatus. Even before the Louis Vuitton Trophy Nice Côte d’Azur began, Azzurra skipper Francesco Bruni spoke of his passion and honor to be leading an iconic sailing brand back into the fray after a long absence. This afternoon he could barely describe his joy. Bruni and his Azzurra crew, including tactician Tommaso Chieffi, defeated Emirates Team New Zealand 2-0 in the Grand Final to win this match race regatta. 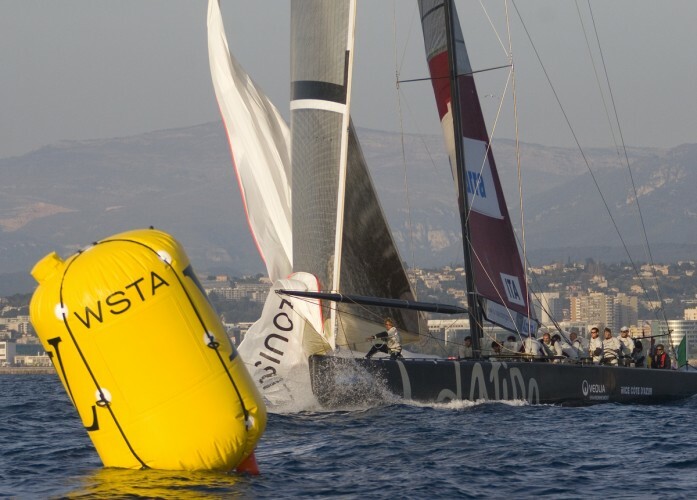 The two races were sailed early in the morning as the race committee was intent on deciding the regatta on the water and not on count-back, which might have happened if racing couldn’t be conducted. The best winds of this two-week event were often early in the morning, and today the first warning signal was sounded at 0800 CET, one hour earlier than scheduled. Despite the win, Azzurra had its mishaps on the racecourse. 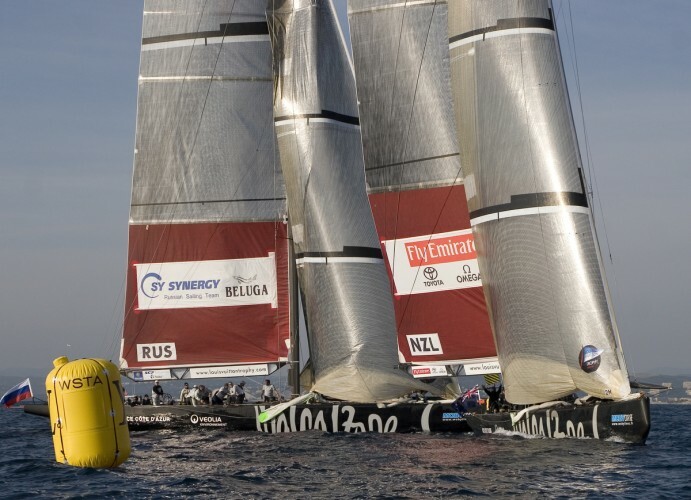 The skipper and tactician both described three problems in the two races. In Race 1 a helicopter got too low to the water and disrupted the wind flow, reducing a four-boatlength lead to one. In the second race the crew didn’t judge a bias in the leeward gate. They made a starboard rounding, but the mark was farther downwind and again they gave away three boatlengths. The biggest mishap came at the top of the second beat in the second race. Approaching the windward mark on starboard tack with Team New Zealand two or three lengths behind, Mantovani, the mid-bowman, slipped overboard while preparing the spinnaker for the rounding. As the yacht sailed past the aft grinder, Romero, ran into the scoop and grabbed him out of the water “like a fish,” according to Bruni.